There are a number of people that believe that anabolic steroids are safe and effective, because major athletes use anabolic steroids. What these people do not realize is that they are not just illegal in sports because they are a form of cheating, they also can physically harm and possibly even kill those that use them, in case of incorect usage. Anabolic steroids are designed in labs as a type of prescription drug for the purpose of pumping up hormone levels in a man's body. Anabolic steroids were developed because there are a number of different diseases that negatively affect hormone levels, and with these steroids, those problems can be fixed. 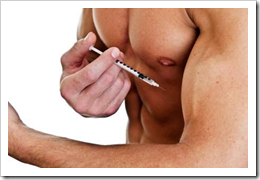 Anabolic steroids do have a legitimate purpose, and they are very often used in a medicine to treat disease. But like many chemical treatments and medications, anabolic steroids have a number of different side effects. These side effects are especially more pronounced when you have no physical problems that require steroids because the steroids will not have any job to do in your body. They may be able to increase your strength, but there are some risks. Anabolic steroids do make muscles stronger, but they do not make tendons stronger. In fact, most tendons and tissues become weaker when someone takes anabolic steroids, and the result is that individuals experience easier injury from less stressful physical exertion. Testosterone is also directly linked to emotional energy. When someone has too much due to overdosing on anabolic steroids, the result is a risk for what is known as "Roid Rage" the sudden and immediate rush of anger that results in physical violence. Also, when you are taking anabolic steroids even though you are creating the correct amount of testosterone naturally, your body may suddenly decide that since you are getting the testosterone elsewhere, there is no reason to create any more on its own. At any time it wants, your body can shut off testosterone production, simply because it sees that a synthetic hormone is doing the job for it. That is one of the main reasons that a man's testicles shrink when he takes steroids since testosterone is created in the testicles, the testicles decide that they do not need to be using up all that energy and their resources go elsewhere, resulting in a shrinking of the testes.